Taboo, the laugh out loud, out-of-your-seat game of forbidden words. In the Taboo game, you need to get your team to guess the secret word, but the obvious clues are strictly off-limits. To get your team to say pinball, would you say arcade, game, flippers, tilt or roll? In this game you can't because all of those words are strictly forbidden. Get your team to guess as many words as you can while you race against the clock. But watch out; if you say a forbidden word, the other team will "squeak" you and you lose the word. Taboo can provide tons of fun and keep you sitting on the edge of our seat. You want your team to say the guess word on the card, but you can't use any of the forbidden words in your clues. Get ready for hilarious moments as you race against the clock to give your team the best descriptions and clues possible. If you say a forbidden word, you'll get interrupted with the squeaker and lose your turn. Are you ready for some nail-biting excitement and quick thinking? Can you get your team to say the word "snore" without using the words sleep, night, noise, or nose in your description? 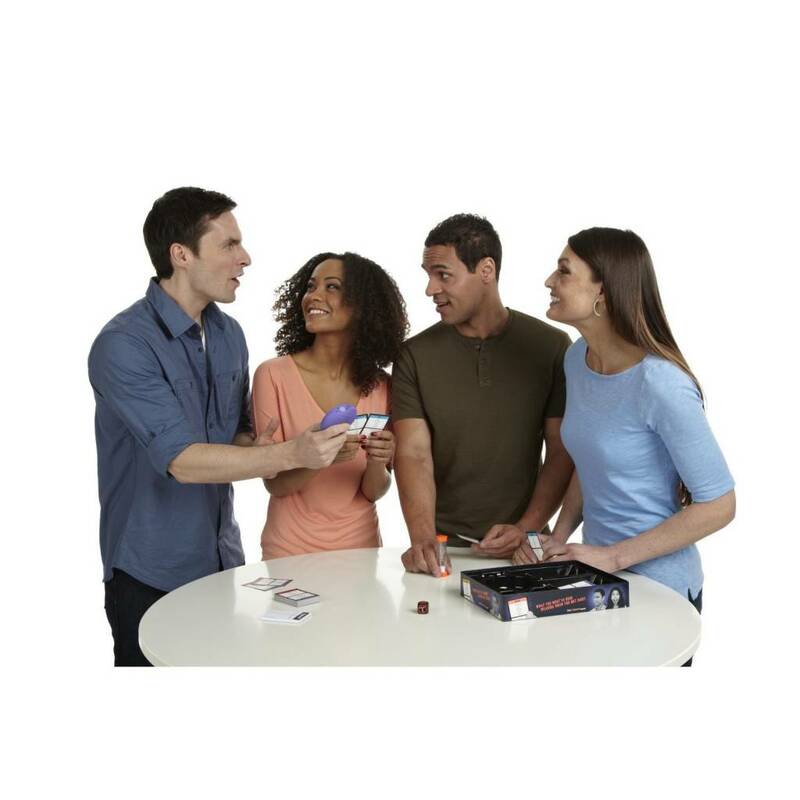 This unpredictable party game will keep you on your toes as you think fast and build up the points for each card guessed correctly. The team with the most points wins. Even if you have played the popular Taboo game before, this fun fast-paced game has been updated with 100-plus phrases not seen in previous versions. The content includes topics that are relevant to today's pop culture and hottest trends.